He told churchgoers he'd had a revelation that if he had enough faith, he could walk on water like Jesus,' an alleged eyewitness told the Glasgow Daily Record. 'He took his congregation to the beach saying he would walk across the Komo estuary, which takes 20 minutes by boat. 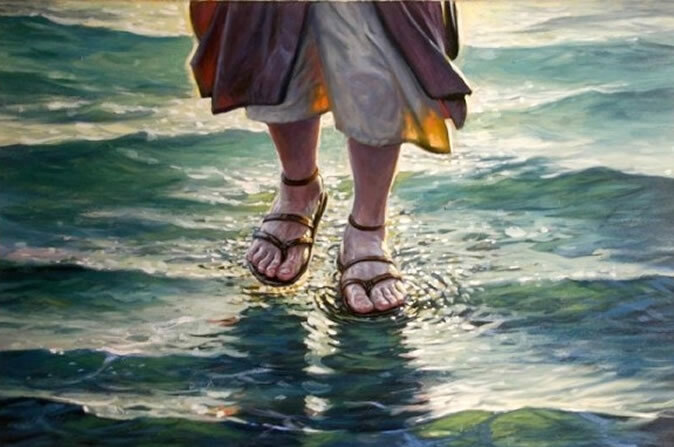 Despite the very real possibility that a person would attempt something like this and drown as a result, a researcher at Florida State University believes he has a natural explanation for the account of Jesus' miraculous walk on the surface of water - ice.